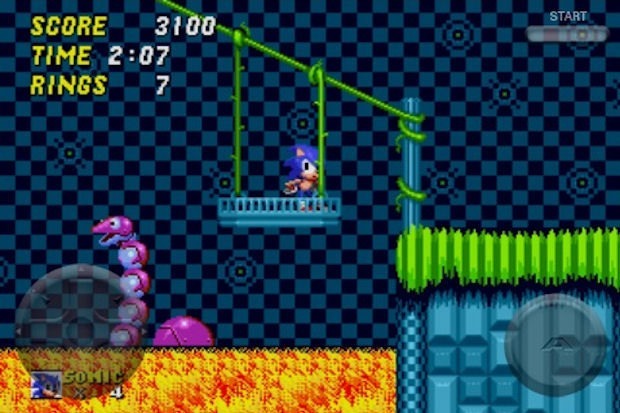 Sega's blue wonder slows to a crawl in Sega's latest iPhone failure. During the Sega Genesis' heyday, we obsessively played Sonic the Hedgehog 2. We couldn't get enough of bashing Dr. Robotnik's bad guys, running through 3-D bonus stages and ditching the loyal yet bothersome Tails the Fox. Now, nearly 20 years later, Sega gives us an iPhone port. Unfortunately, it's a blown opportunity. Sega should've learned from its previous mistakes. 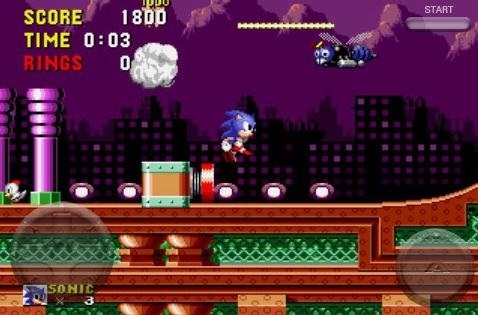 When it released the original Sonic the Hedgehog on iPhone last year, it was a mess. Constant slowdown and sloppy controls kept it from being as good as the 16-bit original. Sadly, that's still the case with Sonic 2. While the video emulation is better, there are still moments when the game slows down, mainly when you're trying to speed through a stage like the Chemical Plant. Even if you play solo (without Tails following you), the action still chugs along. That's horrible. The game also has terrible controls. You have your on-screen D-pad in the left hand corner and a nearly-invisible button on the right for jumping. Most of the time, the functionality doesn't click. You'll run off ledges, collide with enemies (even if you try to execute a spin dash) and have other accidents, most of which aren't your fault. Along with poor controls and a hampered presentation, Sonic 2 also lacks replay value. It won't take long to blow through the game (an hour or two, tops), and then that's it. The game's two-player mode was removed, so you can't even race against friends. Finally, there's the $5.99 price tag. That's a colossal mistake, considering that you can purchase this game and 20 other Genesis titles on your Xbox 360 or PlayStation 3 for $15. Sadly, Sonic the Hedgehog 2 has little to no redeeming value. Considering the cost, you should get your retro fix elsewhere. What's Hot: Looks and sounds like the old Sega Genesis favorite. What's Not: Overpriced, no sign of two-player versus mode, virtual controls don't respond accurately enough.